Are you seeking for J & K Bank Recruitment 2018? If Yes, It is a great opportunity for you. Jammu and Kashmir Bank Limited is going to appoint candidates on 1200 Banking Associates Vacancies. Permanent Candidates of Jammu & Kashmir can only apply for this post. Before fill up application form aspirants should check eligibility criteria, age, and application fee. Online Registration for JK Bank Vacancy is begun form 24.10.2018. 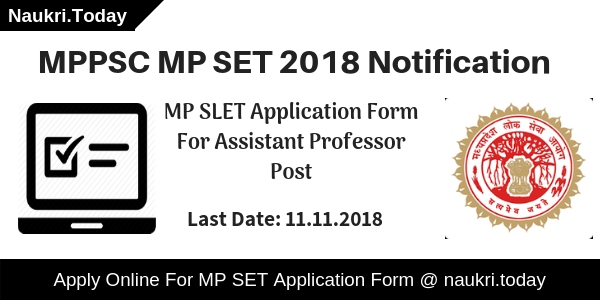 Candidates can only apply through Online mode before 10.11.2018. Applicants are informed that on other modes of registration will be accepted. For more details such as selection criteria, pay scale for Bank Associate Post read below article carefully. The Department is going to conduct written examination for selecting aspirants on 1200 banking Associate post. Applicants can fill up their application form for J & K Bank Jobs from 24.10.2018. Last Date to Apply online is 10.11.2018. Here our team provided you complete information about JK Bank Recruitment 2018. Candidates should check qualification, age, etc from below section. Interested applicants may apply online form direct .links given here. Fresh Update as on 03.11.2018: Online Registration for J & K Bank Recruitment is going to close on 10.11.2018. Candidates must fill up their application form before last date. Here we provided you complete details regarding J & K Bank Vacancy 2018. Before applying participants should check here required qualification, age, and application fee for J & K Bank Vacancy 2018. Candidates should enter all the details carefully in an application form. Eligible candidates should fill up their application form from links given here. Participants who have Graduation or Post Graduation Degree with minimum 55 % can apply for J & K Bank Associate Vacancy 2018. Candidates who are going to fill an application form for JK Bank Jobs may require a permanent residential certificate of Jammu and Kashmir. for further more information download J & K Bank Notification 2018 either from here or from the official website. Aspirants must be 18 years old and not more than 32 years old are eligible for J & K Bank Recruitment 2018. The Department will give upper age relaxation as per government rule. SC/ST / Ex-Service Man should be relaxed by 3 years for JK Bank Associate Recruitment 2018. General Category Participants should pay Rs. 800 as an application fee for J & K Bank Vacancy 2018. SC/ST Category will pay Rs. 600 for an Application Fee. Candidates should use their Credit Card, Debit Card, and Internet Banking for the payment of an examination fee. Read Official J & K Bank Notification 2018 carefully for more information. Applicants are informed that Application Fee is not refundable in any cases. Candidate should be selected on the basis of written examination. An Examination should consist of three test such as English Language, Numerical Ability, & Reasoning Ability. Applicants need to secure good marks for J & K Bank Recruitment 2018. Final Merit List should be created according to cut off marks. Time Duration for each test is 20 minutes. Total Marks is 100 for all three test for JK Bank Jobs 2018. For more information candidates should consult to official J & K Bank Notification 2018. The Department will pay Rs. 13075/- along with two increments in the scale of Rs. 11765 -655/3 -13730 -815/3 -16175 -980/4 -20095 -1145/7 – 28110 -2120/1 -30230 -1310/1 –31540 and other perks applicable to banking associates. Aspirants should consult to official JK Bank Notification for more information. Interested and eligible candidates must apply online before the last date for J & K Bank Recruitment 2018. Participants can register either from here or from the official website for JK Bank Associate Jobs 2018. follow these easy and simple steps to download J & K Bank Notification 2018. Applicants should open official Website of JK Bank i.e jkbank.com. Now click on Career option given at Homepage. After that Click on Advt. PDF and read it. Candidates should check the eligibility criteria given in PDF. Eligible Candidates may apply online from links given here. Aspirants should insert their passport size photo and signature in an application form. After that Recheck your complete application form. Now Take print out of application form for feature use. Conclusion: Jammu and Kashmir Bank Limited has issued notification for 1200 Banking Associate Vacancies. 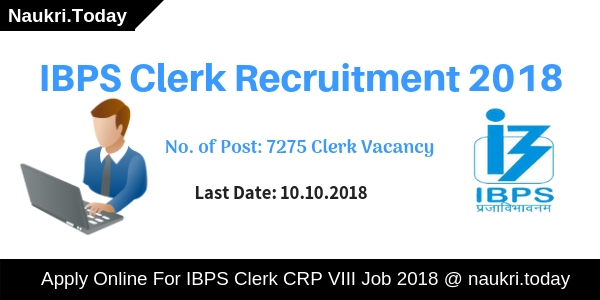 Applicants should check eligibility criteria before applying for J & K Bank Recruitment 2018. 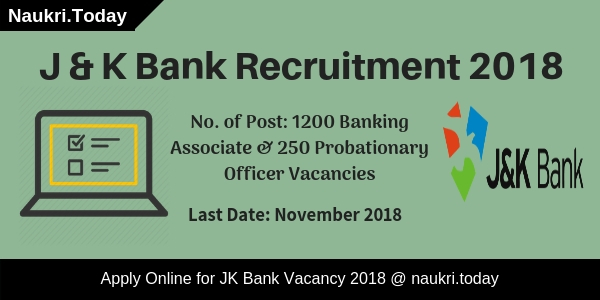 Read the above article carefully for more details regarding JK Bank Vacancy 2018. Hello Friends, Jammu and Kashmir Bank has published notification for Probationary Officer Vacancies. The only Permanent resident of Jammu and Kashmir state can apply for 250 PO Vacancies. Interested aspirants may fill up online application form for J & K Bank Recruitment 2018 form 20 October 2018. Participants should check here Qualification, Age, and Selection Criteria. Last Date for Online Registration is 06 November 2018 for JK Bank Recruitment 2018. Applicants can apply through online mode only. Participants should read below article carefully for more details regarding J & K Bank Jobs 2018. Jammu and Kashmir Bank Ltd. has issued notification for 250 Probationary Officer Vacancies. The Department will select candidates in Three stages such as Preliminary, Mains, Interview. Before Applying Applicants should collect here eligibility criteria details. Participants can apply online from 20.10.2018 to 06.11.2018. Here our team gave you complete information regarding J & K Bank Recruitment 2018. Candidates may download their JK Bank Notification 2018 from Links given here. Candidates may apply only for J & K Recruitment 2018 form links given here. Participants should fill up their application form carefully. If any mistake found in your application form your form will be rejected. Participants should check here eligibility criteria for JK Bank Recruitment 2018. Participants must have Graduation / Post Graduation Degree with minimum 60 % are eligible for JK Bank PO Vacancy 2018. Candidates should read official J & K Notification 2018 for further more details. Selected candidates will be posted all over the Indian. Applicants should be minimum 18 years old and maximum 32 years can apply for J & K Bank PO Recruitment 2018. The Department will give upper age relaxation to the candidates as per government rule. Participants of ST/SC/ Ex-Service Man category are relaxed by 3 years as on 01.01.2018. For more information check official Notification of JK Bank Vacancy 2018. Candidates should pay their application fee through Credit Card, Debit Card, and Internet Banking for J & K Bank Recruitment 2018. Participants of General category need to pay Rs. 1000 as an application fee. SC ST Category applicant will pay Rs. 800 for an examination fee. Here we gave you direct links to apply for JK Bank Jobs 2018. The Department will select candidates on the basis of Written Examination and Interview. A written examination should be conducted in two parts such as the Preliminary Exam and Mains Exam. Applicants firstly take part in the Preliminary Exam. Participants who qualify Pre-examination will appear in Mains Examination. Aspirants who get pass in both the examination may call for Interview. Final Merit list should be created on the Basis of overall marks of candidates. The Department will pay a basic salary of Rs. 23700- 980/ 7 – 30560 – 1145/2- 32850 – 1310 /7 – 42020 and other perks applicable to Junior Management Grade Scale – I to the selected candidates. Participants should prepare hard to grab Probationary Officer Post. Here we gave you links to download J & K Bank Recruitment 2018 Notification. Candidates should check here education, age, and pay a fee before applying for J & K Bank Jobs 2018. Participants can pay their application fee through online mode. Here we gave you easy and simple steps to apply for JK Bank PO Vacancy 2018. Click on Careers option at Homepage. Now click on J & K Bank Recruitment PDF. Eligible applicants may apply online for JK Bank PO Jobs 2018. Candidates should insert their San Signature, Passport photo, & Thumb Print. After filling up application form pay your examination fee. Candidates should keep a copy of Application form for feature use. Conclusion: Jammu and Kashmir Bank Limited have released notification for 250 Probationary Officer Post. Candidates should collect here eligibility criteria details for J & K Bank Recruitment 2018. Applicants may fill up their application form before the last date that is 06.11.2018.